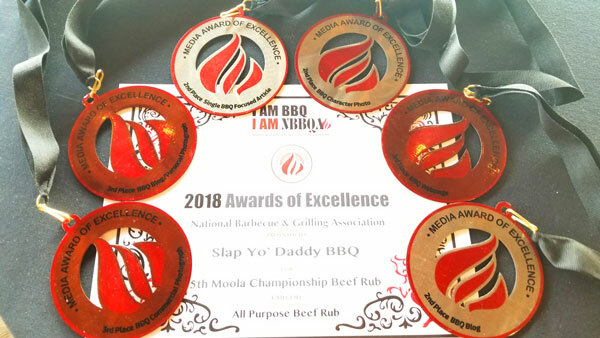 I was pleasantly surprised on March 15, 2018, to win seven National BBQ and Grilling Association (NBBQA) Awards of Excellence (AOE) in multiple categories of blog, webpage, photos, BBQ article, and beef rub. 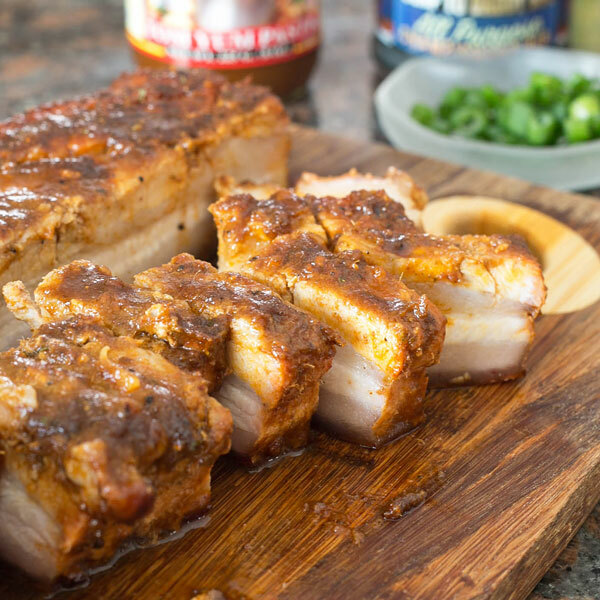 These AOEs are presented to the top three winners within each category of: Rubs & Sauce, BBQ Products, BBQ Publications, BBQ Digital Media, and BBQ Photography. 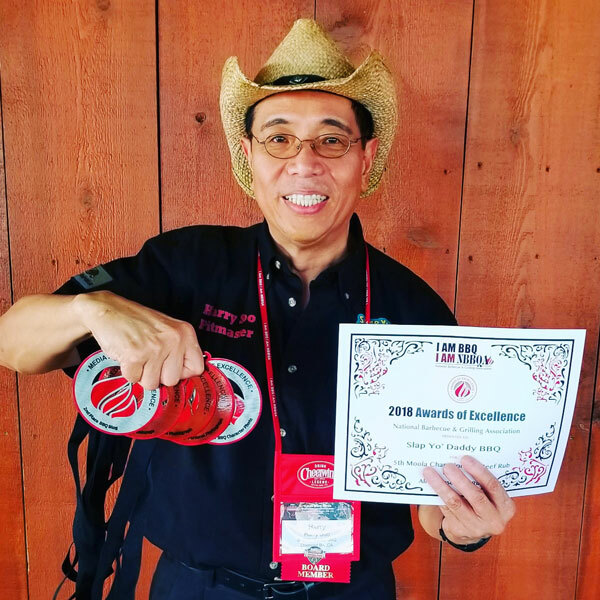 A huge thanks to the panel of judges from around America for these honors which I received while attending the NBBQA IamBBQ2018.com annual conference in Fort Worth, Texas. This was an especially sweet moment as 2018 marked my 10-year anniversary as a professional BBQ competitor, barbecue instructor, blogger, video blogger, and retailer of sauces and rubs. It’s also bitter-sweet because of the story of Teri Bishop which I’m going to tell you. I could never have imagined where my BBQ journey would take me ten years from a fateful day in 2008. My coworker Teri told us about a great movie she watched over the weekend starring Jack Nicholson and Morgan Freeman called The Bucket List. She told our group of IT nerd project managers that we needed to write down a list of things to do before we kicked the bucket. To make it more challenging, we wrote two stretch goals for each other. For me, the first stretch goal was to take a standup comedy class and do standup comedy since I was an IT geek. I am far more comfortable behind a computer screen than in front of people. They allowed me to substitute the comedy class with my participation in our company’s talent contest. My fellow bucket list co-worker, Janice, would do a karaoke rendition of Gladys Knight’s Midnight Train to Georgia. Teri, Brian (another coworker), and myself would be the Gladys’ The Pips backup dancers and comedy routine. 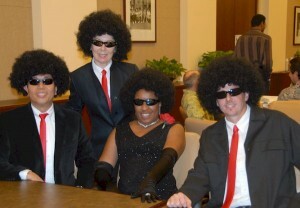 Since we were performing in disguise with Afro wigs and sunglasses, we were safe from being recognized by the 1,000 employees in our downtown Los Angeles building. Amazingly we won the talent show and someone surreptitiously recorded our performance on a cell phone and put on Youtube. Hopefully you won’t recognize which one is me. Yes, I know, we have no talent as dancers and shouldn’t quit our day jobs. Janice’s live singing was excellent. 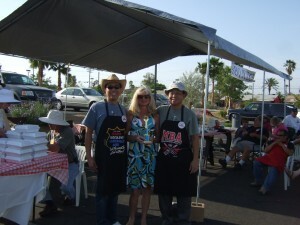 My second goal was to compete in a BBQ contest like the ones you see on TV where you turn in BBQ in a white Styrofoam box. I knew how to cook BBQ incognito. Janice is African-American and I used to cook BBQ for her to serve during the annual African-American Association fund raiser in our building. Janice would serve my barbecue to all our soul brothers and sisters in the building. Little did they know that I cooked it. 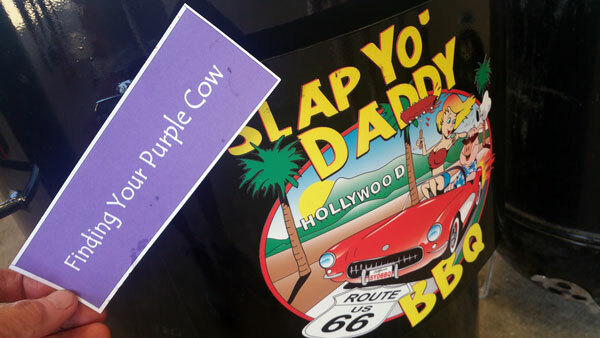 I decided to enter a BBQ contest to complete my second stretch goal. The entry form for a contest in Palm Desert, California would prove my participation. I picked the team name “The Bucket List” which made sense since I would only compete once and never do again. My co-workers said the name was boring and wanted to come up with a better name. I was told when you’re in the South and you eat something you really like, it’s so good you want to slap somebody. Since I’m a Daddy, they said to call my team Slap Yo Daddy BBQ. I thought that was a stupid name but said yes as I didn’t care. I wasn’t going to use the name again. So, I went to my very first contest in Palm Desert, California, and the rest, as they say, is history. Mark, my teammate and childhood buddy and I had 4 walks including first place chicken and won Reserve Grand Champion. As I received these AOE awards tonight, I owe a depth of gratitude to Teri Bishop who started me on my accidental pitmaster journey ten years ago. Her optimism, energy, and love for life, people, and adventure set us free from our could-have’s, should-have’s, and would-have’s in 2008. We all completed our stretch goals that year, emerged like butterflies out of our cocoons, and gained confidence to complete many more stretch goals. A few years later, we were devastated to lose Teri to kidney cancer. We all had the wind knocked out of our sails. Her passing was a huge awakening that life is short and temporary. We must pursue what we are passionate about and never look back. 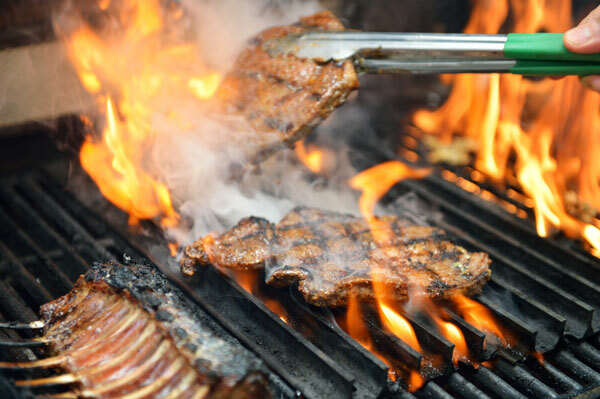 I chose a path to spread love via barbecue so thank you Teri Bishop, my good friend, for being the inspiration for us to follow your path of grace, love, and kindness to others. We love and miss you dearly Teri. Harry and your fellow Pips. CONGRATULATIONS HARRY ! YOU ARE AMAZING ! YOU KEEP GOING! & GOING AND GOING ! AND KEEP GETTING BETTER & BETTER & BETTER AT EVERYTHING YOU DO ! I LOVE HOW YOU KEEP STAYING AHEAD OF THE CURVE ! I MET YOU AT MY FIRST OFFICIAL JUDGING CONTEST BEING A CBJ ABOUT 10 YEARS AGO ! YOU AMAZED ME THEN BY BEING A ONE MAN TEAM,COOKING OUT OF THE BACK OF YOUR CAR ! YOU CONTINUE TO AMAZE ME STILL TODAY BY THINKING OUT OF THE BOX !! Hey John Jiminez, thank you for your support and kind words. We must always stay curious, like a child, and embrace the love and moments that make life meaningful. And, keep thinking outta the box! Thanks Sonny for your thoughtful comments. In life, we don’t always know what path to take when the road forks. I follow my heart more so now than the logic in my brain. I find that works much better because the brain often thinks you should not, would not, and could not. When you feel in your heart you need to do something, follow that instinct even if your brain thinks otherwise. Be well and be at peace Sonny. 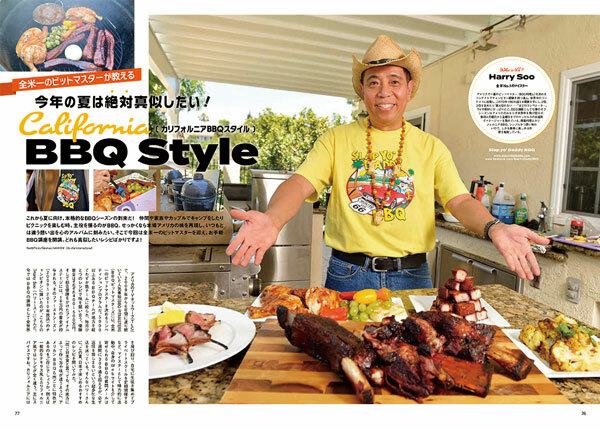 You are the man and Jedi Master of BBQ…what kind of discount for your cooking class if I come from Brazil to learn from you? 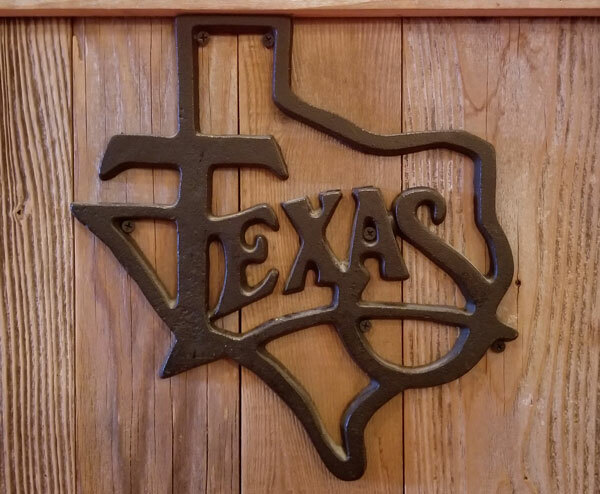 I have just retired at 66 and would love to spend a week in LA when I com visit family…I have built a BBQ space and turned frill into smoker BBQ…still have to put up exhaust duct and get some woods…I worked as pro chef for like `15 years after 2 years training…Los Vegas, Cal,.Florida , New York, Europe…good times in glory days…just want three things for bucket list/ Great gringo BBQ, bourbon, and playing the blues. Who knows, one of these days I might be in Brazil. Let me know if I can come down and do some Brazilian BBQ with you. I love Churrascaria. Congratulations, Harry, the awards are certainly well-deserved. You are an inspiration to me in my BBQ adventure. Keep sharing the BBQ Love. Thank you so very much. 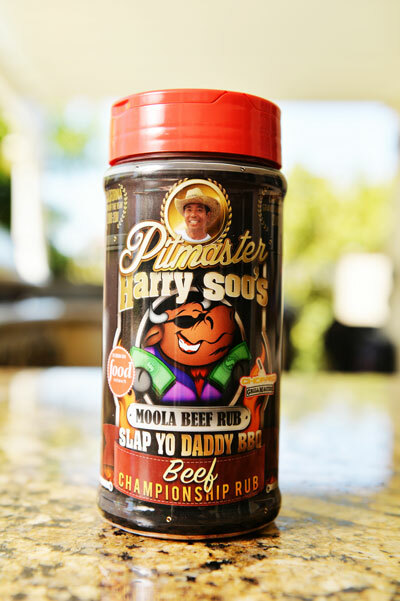 Look forward to sharing love, stories, and adventures on my website and now on my Youtube channel "Harry Soo"
Congrats Harry, I loved taking your class a few years back and me and my family have enjoyed the benefits of grilling and smoking our food. These awards you received are well deserved. Thanks so much. I am looking forward to the next 10 years of adventures and sharing them. Now I have a Youtube channel in addition to my website also. Loved the video. Thanks for sharing it. Life is to short. I’m sorry for your loss and am very glad someone made the video.